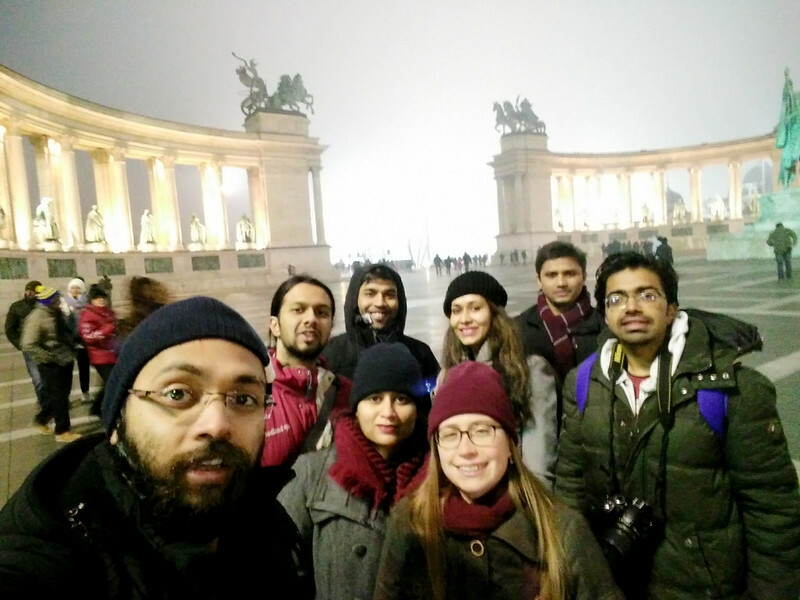 Budapest– the prime Hungarian city split into halves by the Danube River into Buda and Pest– each complete with its own distinct personality. 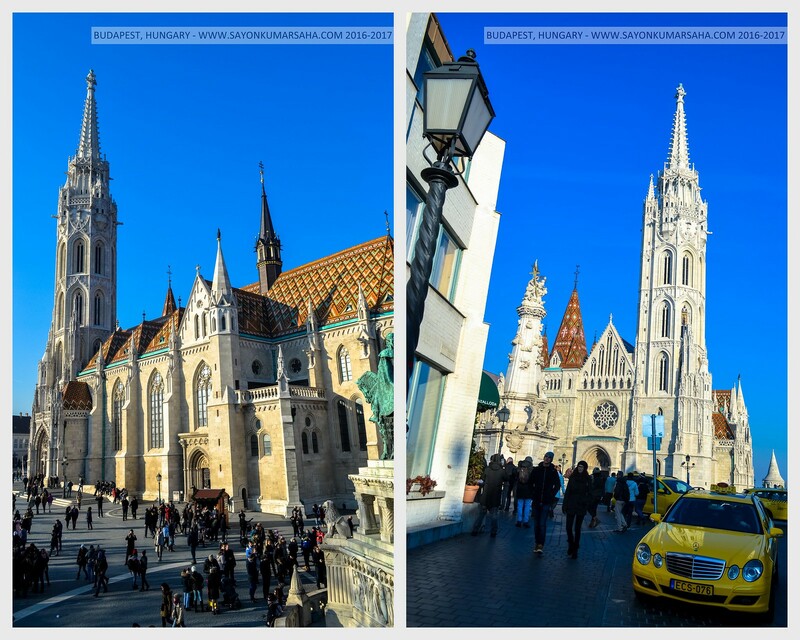 Buda is marked by rolling hills, historic Ottoman relics and the famous Castle District in Buda. On the other hand Pest is marked by wide, tree-lined boulevards, crumbling apartment blocks and trendy ruin-style bars. 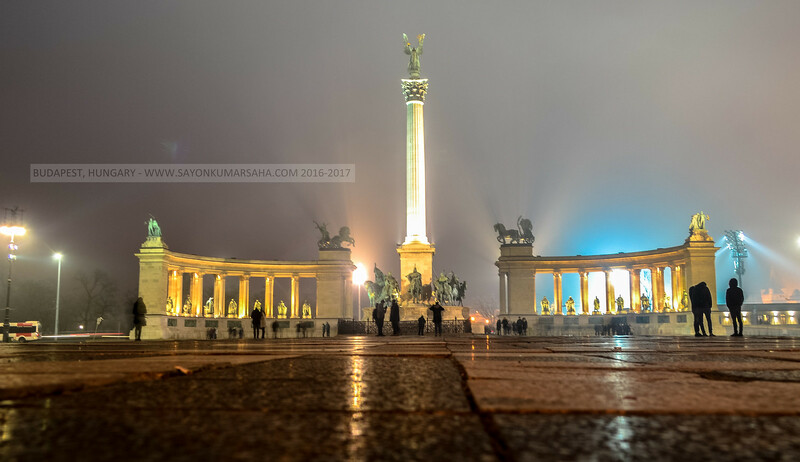 Budapest Hero’s Square stands in the honor and memory of the great leaders of Hungary. There’s the Hero’s Square Groupfie!! Danube River with Buda and Pest on it’s either sides! Situated at the riverbank, the Hungary’s Parliament building is a magnificent structure. 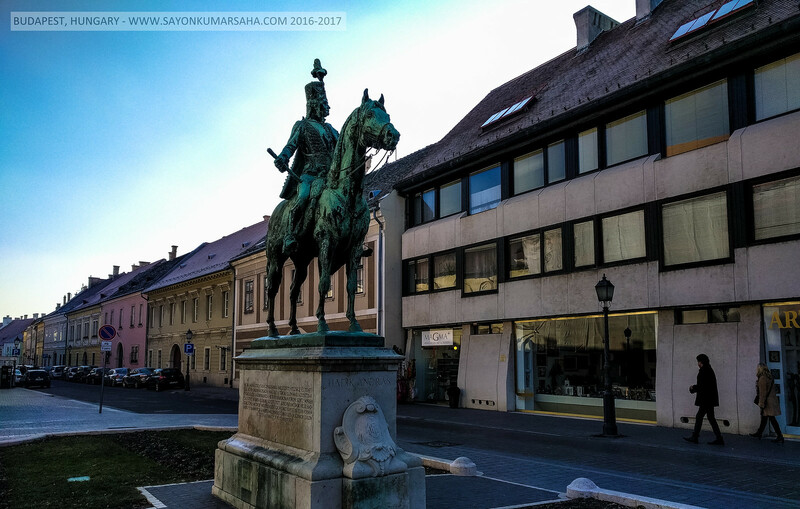 It was built when Hungary was still under the Austrian influence. It is a symbol of Hungarian independence. The Parliament house is is arranged around 10 central courtyards and contains more than 20km of staircase with 691 rooms. It has 27 intricately decorated spires. 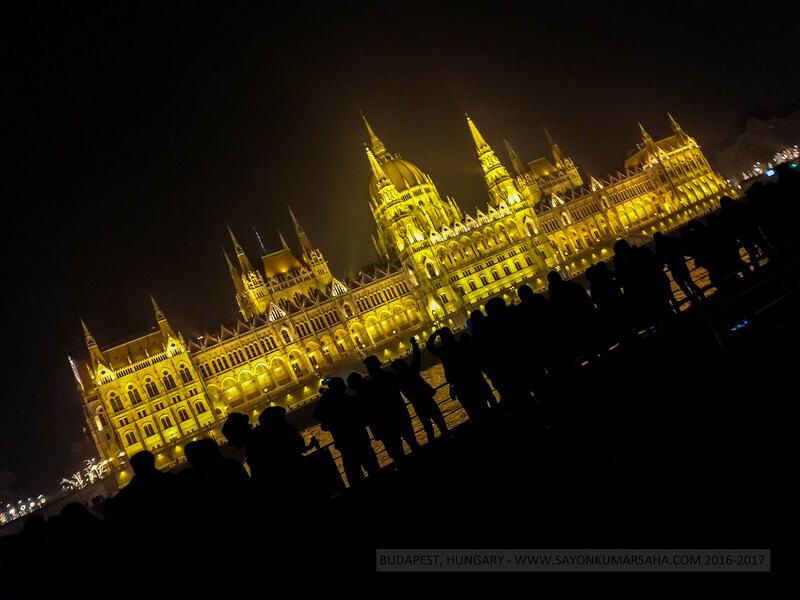 The facade is decorated with 88 statues of Hungarian rulers, pointed arch arcades, spires and Gothic ornaments. The interior of the Parliament is as stunning as its exterior, decorated by some of Hungary’s best artists! 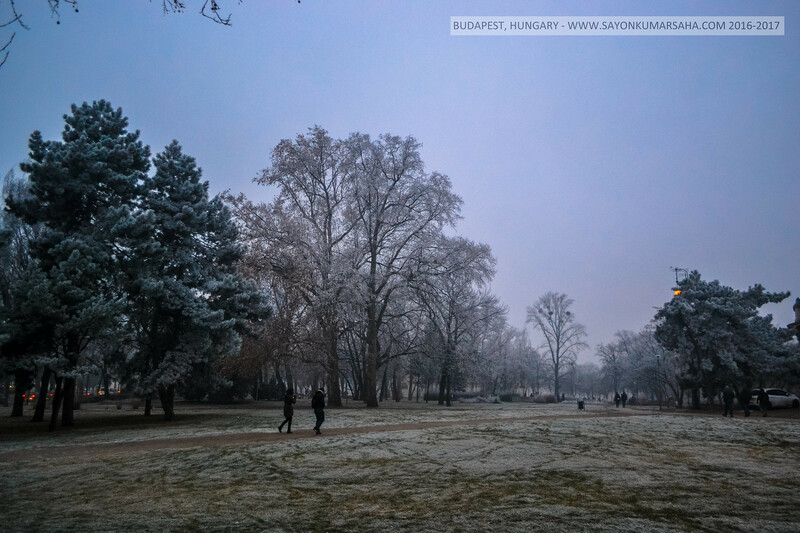 Hero’s Square, the home of Museum of Fine Arts and Palace of Art is one of the iconic points in Budapest! 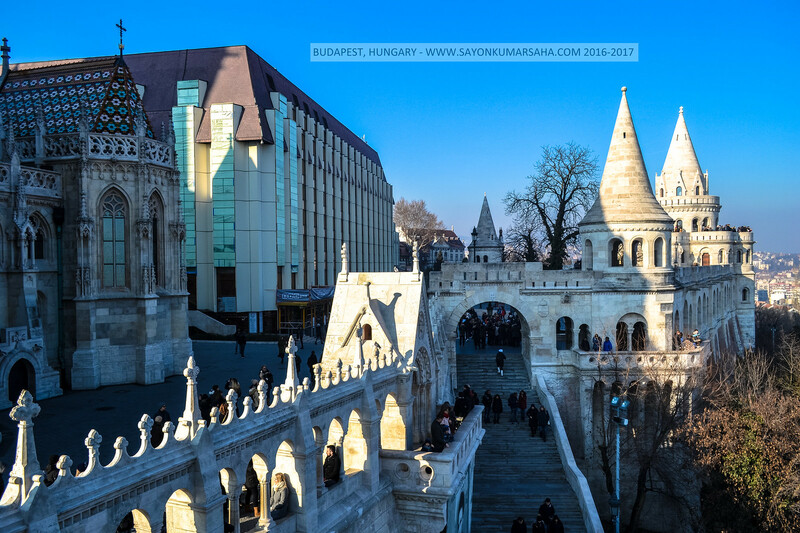 The Fisherman’s Bastion in Budapest is a terrace in neo-Gothic and neo-Romanesque style on the Castle hill in Budapest. Its seven towers represent the seven Magyar tribes that settled in the Carpathian Basin in 896. The Bastion takes its name from the guild of fishermen that was responsible for defending this stretch of the city walls in the Middle Ages. 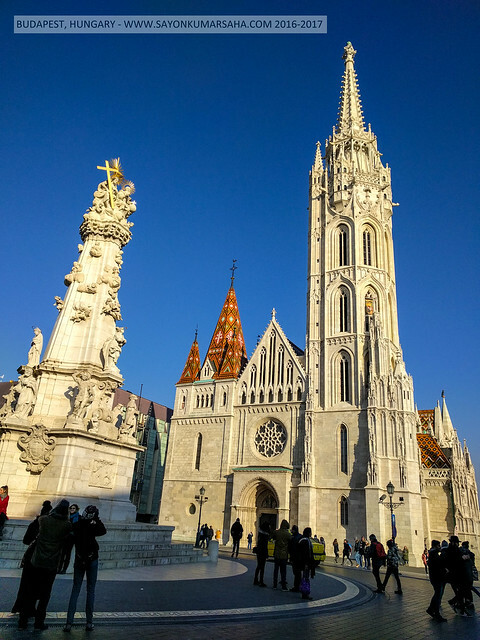 The Matthias Church located across the Fisherman’s Bastion was built in Romanesque style in 1015, later reconstructed in the florid late Gothic style in 14th and 18th century. 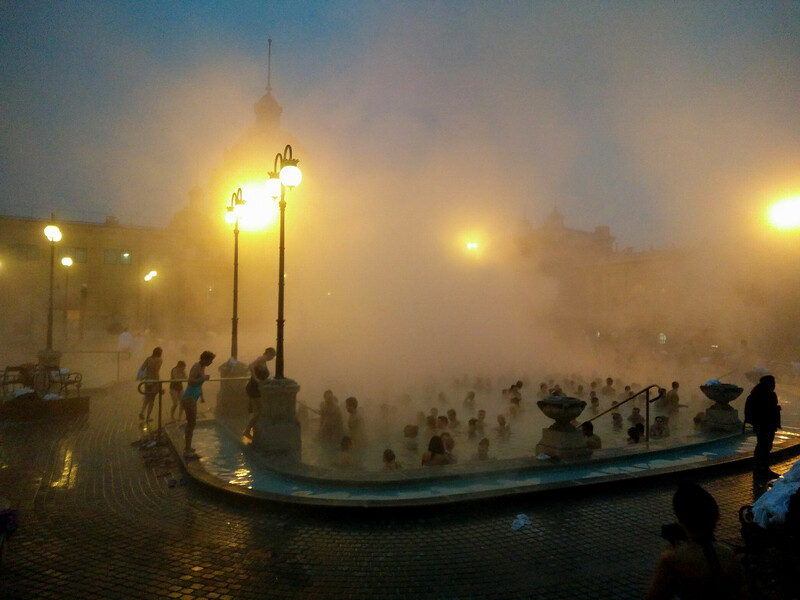 The 118 springs and boreholes of Budapest makes the it the city of spas and thermal baths! 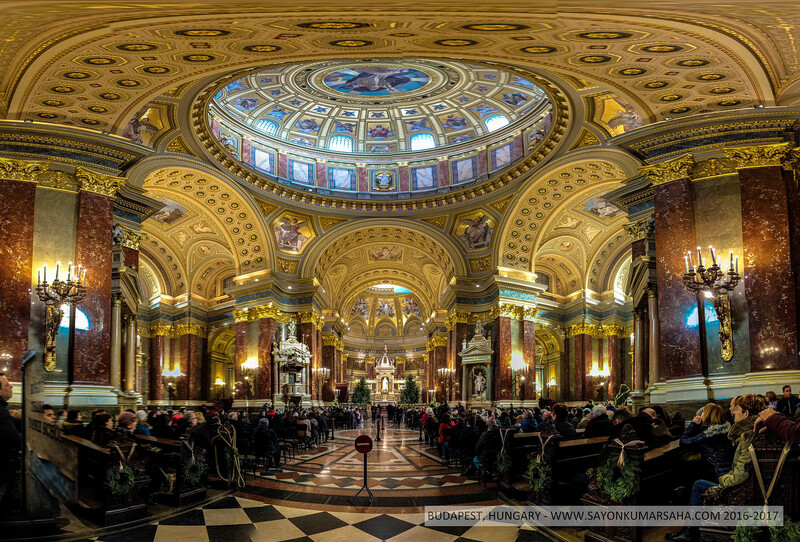 The grandeur of interior of the largest church in Budapest, St Stephens Basilica church is the epitome of beautiful and intricate architecture. On the left is the Dohány Street Synagogue is Budapest is the largest Jewish synagogue in Europe and the second largest in the world. On the right is the Budapest Theater. The lovely lookout tower and the decorative fortification of Fisherman’s Bastion gives one of the best panoramic view of the city. 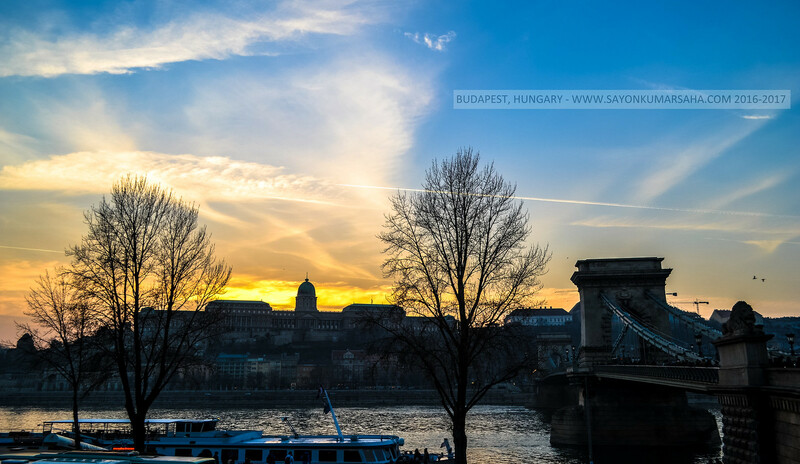 Sunset behind the Buda Castle and along the Chain bridge is amazing! 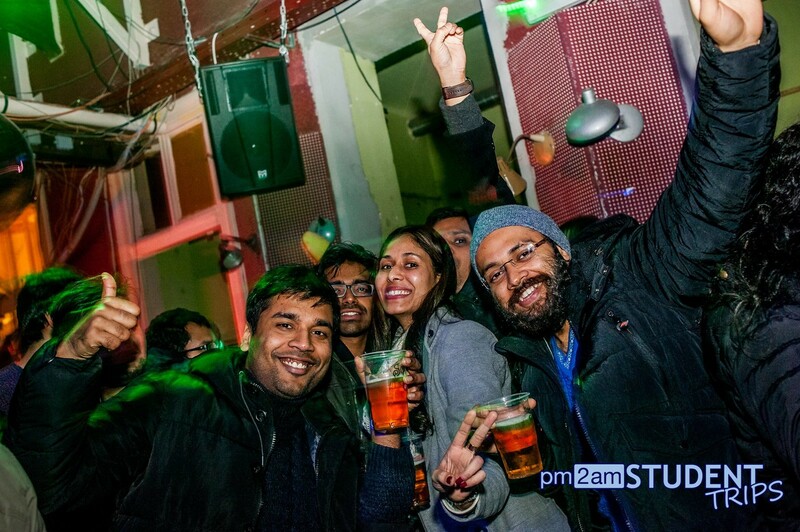 Thanks to pm2am for the crazy Budapest Pubcrawl and making it a night to remember with the trendy ruin-style bars! 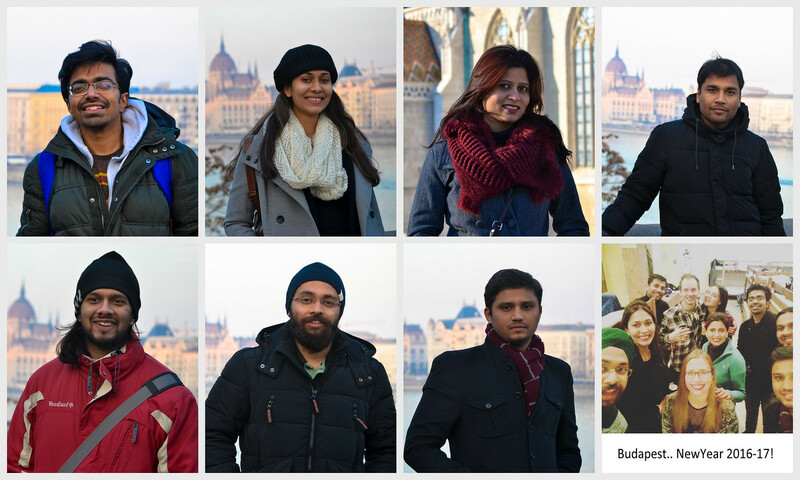 Spending the new year on a cruise with Buda and Pest on the either side was a fairy tale one! 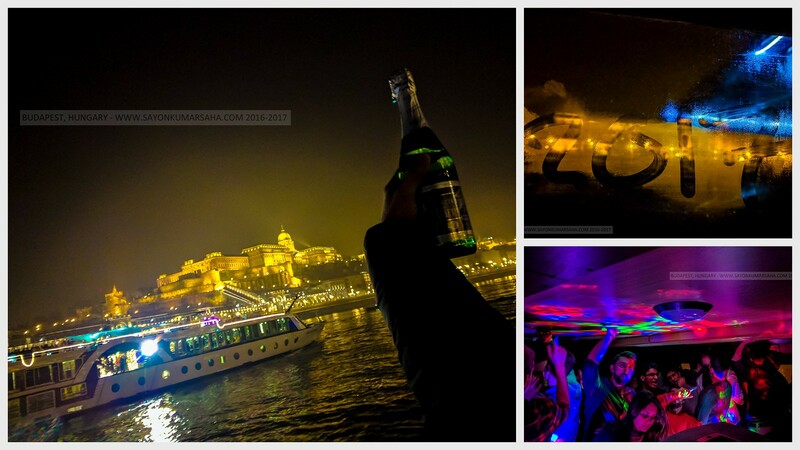 Welcoming 2017 on a boat party in the middle of the river was one of its kind, let alone the fireworks! 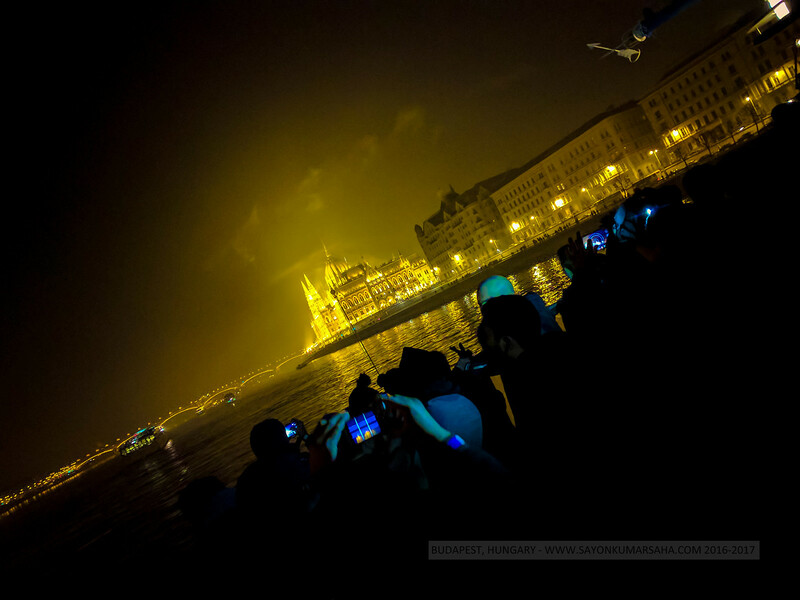 And when the Hungary’s Parliament building turned golden on the new years eve! 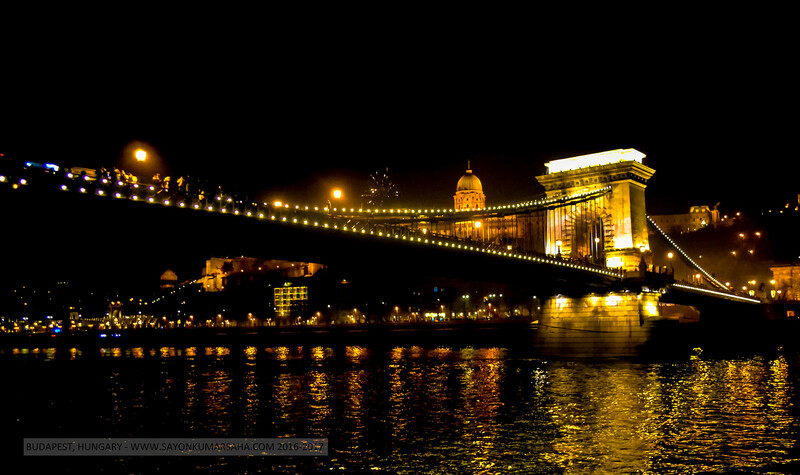 The 1230 ft long Budapest Chain Bridge is one of its kind since the 18th century. It is an marvel of engineering to have built a suspension bridge of this kind 200yrs ago! The beautiful bridge towers are decorated with the Hungrian coat of arms.imposing stone lions and work of sculpture. 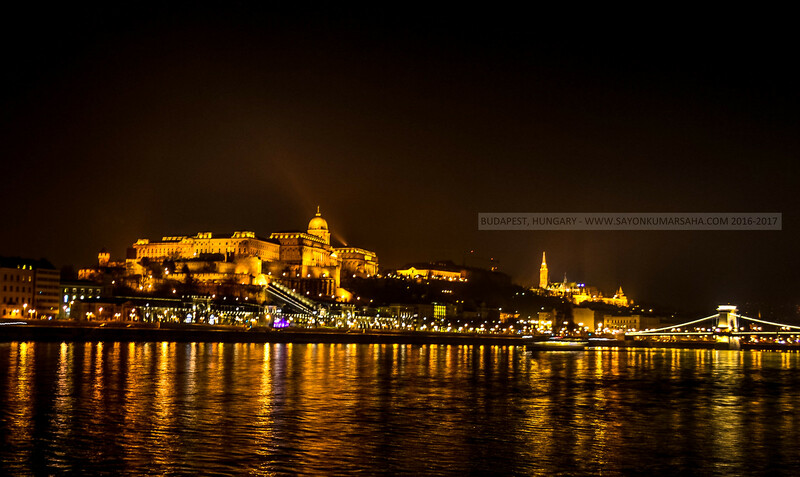 The Buda Castle looks magical after sunset! It is one of the largest Gothic palace of late Middle Ages built in 13th Century. It is bounded by the Castle district famous for it’s Boroque architecture. 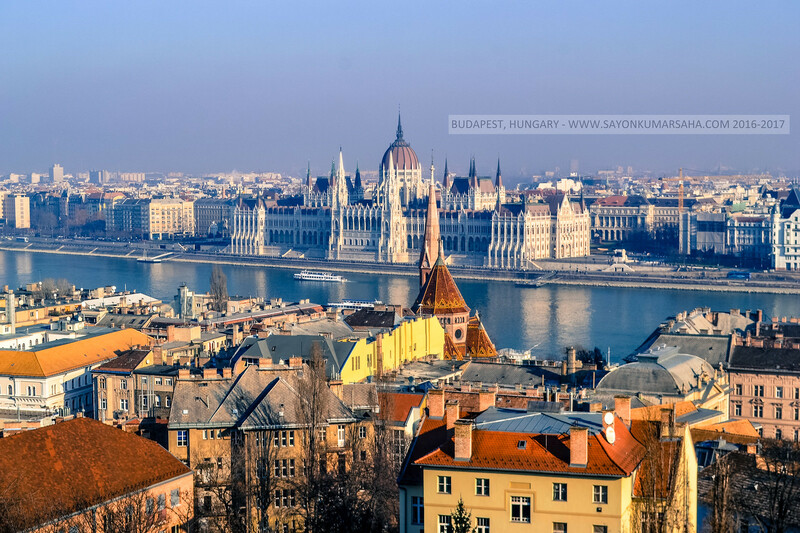 The castle has the Hungarian National Gallery, Budapest History Museum and the National Library. The golden ambience from the other side of the river is mesmerizing! Previous PostGREENDAY at Mannheim, Germany!